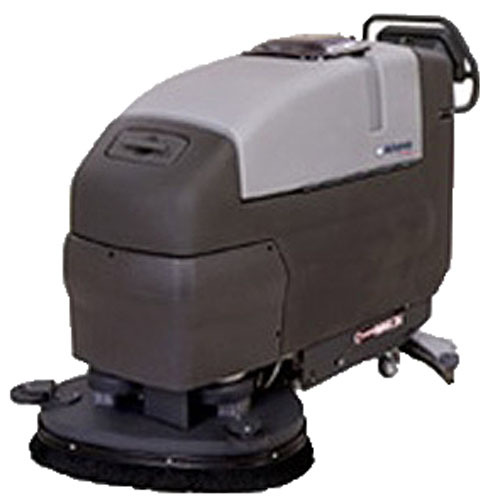 The NILFISK CONVERTAMAX 26 is a battery powered walk behind floor scrubber. This unit features a one-touch electronic function control panel, an easy access to batteries and other components for minimal down time, low sound levels that allows flexible usage in all areas at anytime, and a rugged construction that assures years of reliable performance. The NILFISK CONVERTAMAX 26 also has a rear solution fill port that allows the operator to fill the solution tank while emptying the recovery tank for a faster cycle time and better productivity.